Food grade silicone ice cream mold, creative shapes, non-toxic, good for health. Low temperature and high temperature resistant, soft and elastic. High temperature up to 230 degrees, low temperature as low as -40 degrees. Suitable for ice cream, popsicle and ice cube, cake and so on. 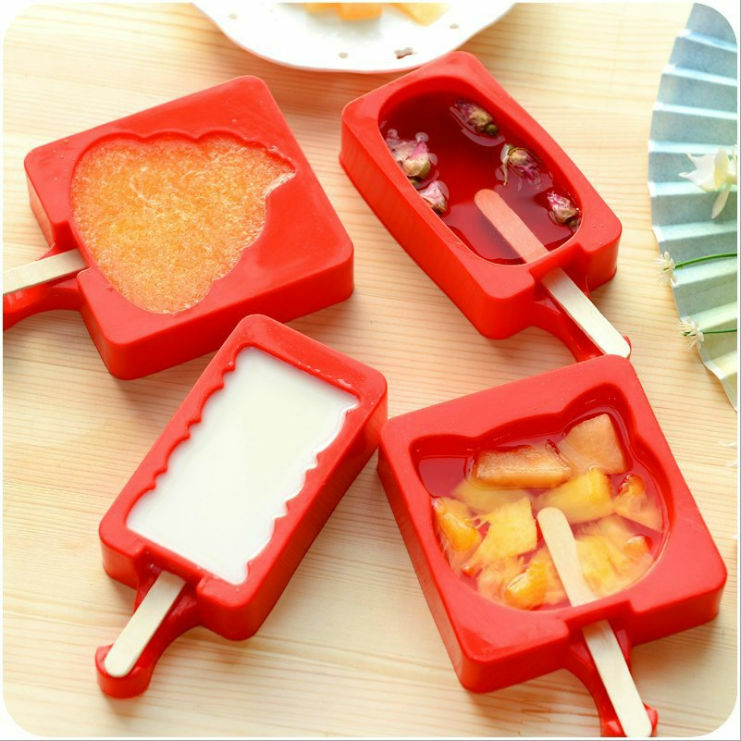 I love these popsicle molds! I spend so much a month on fruit & veggie bars that I decided to buy freezer molds and make my own. I did a lot of research before selecting these. That they are BPA free was a big selling factor for me. They are the perfect size, EASY to remove the popsicle (by running under water for a few minutes), and the molds click into the base for all six can easily be transported to the freezer.